I grew up in the kitchen watching my mother cook. She is the ultimate home cook, turning out dish after steaming dish filled with from-scratch specialties like fried fantail shrimp, beef stew, foil-baked salmon, and her signature meatloaf. Somehow, she always made it look incredibly easy, never referring to a single recipe, claiming that everything was safely stored in her head. When I was a little kid, those mysteries of the stove always fascinated me--I never thought that I would ever live up to my mother's brilliant home (and professional) cooking. Not that I wouldn't try. 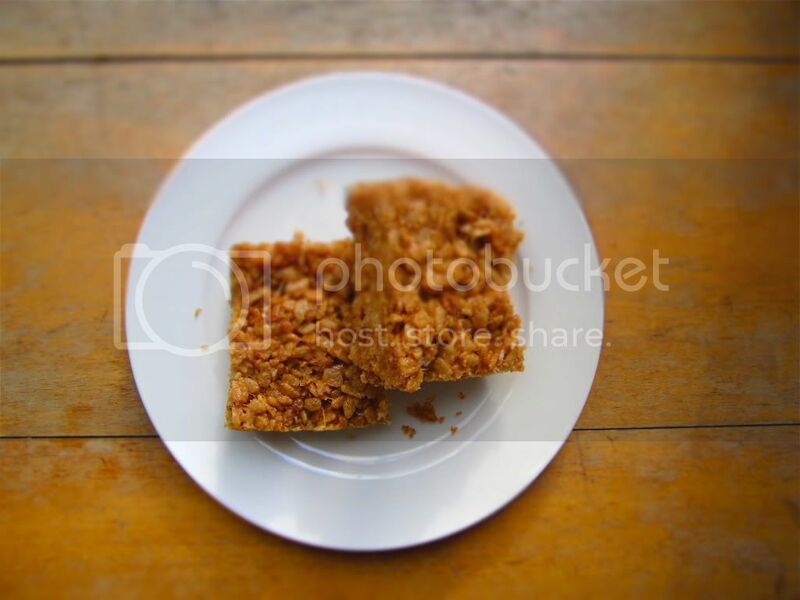 The first thing we ever made together was that classic kid-friendly concoction, Rice Krispies Treats. 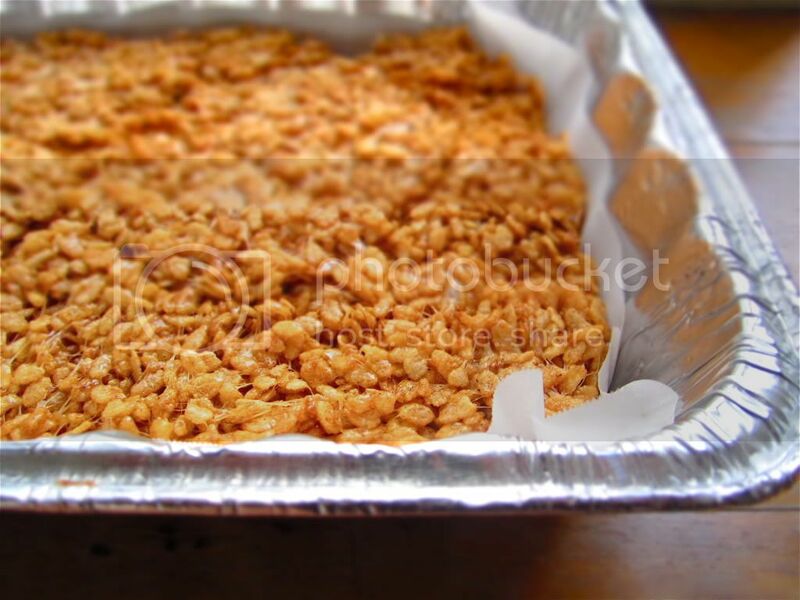 I remember stirring the rice cereal into the gooey marshmallow mixture in a big no-stick pot, my mother's hand placed firmly over mine as she helped guide my arm in the right direction. I was probably around 9 or 10 years old, and that afternoon, standing on a step-stool in her warm kitchen hunched intently over the stove with a flood of early afternoon sunlight streaming in--that afternoon was probably the very beginning of my love affair with food. Line an 11-by-17 inch rimmed baking sheet with parchment paper. Melt the butter in a large pot, over medium-low heat. It will melt, then foam, then turn clear golden, and finally start to brown and smell nutty. Watch closely and stir often. When the butter is evenly browned, stir in the marshmallows and the salt. Cook, stirring often, until the marshmallows melt and the mixture turns pale brown, then stir constantly until lightly browned but not dark, 3 to 5 minutes. Turn off the heat, add the cereal, and mix well, preferably with a silicone spoon or a spatula. Scrape into the prepared pan and press down lightly. If necessary, butter your hands to press the mixture flat. Let cool, and cut into squares or bars. Grown up rice krispies, I dig that. Nom Nom Nom....they look sooooo good!